It takes a tough kid to be a knight, and it takes an even tougher one to slay a dragon! 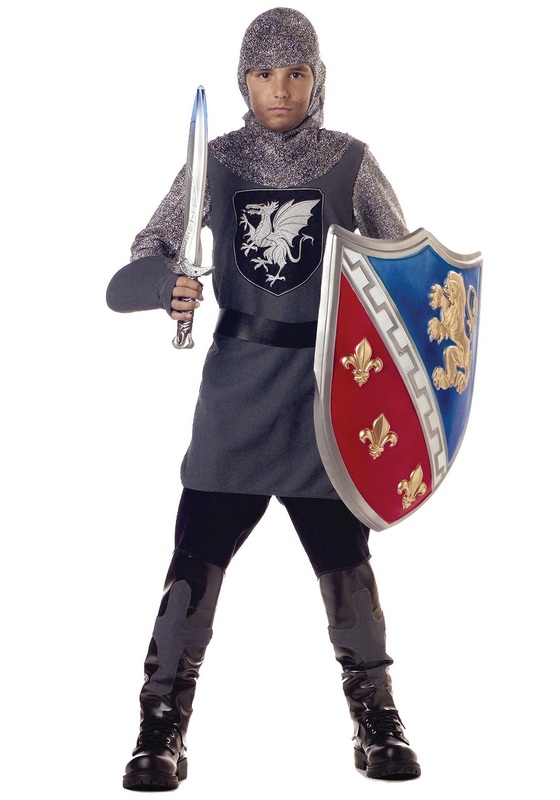 Your little one is the stoutest knight in the land, and a stout knight needs a solid suit of armor. Equip them with this Valiant Knight Costume before they head out on their next epic quest, and they'll be ready for any foe with whom they cross paths! At first glance, knights may just seem like any old soldier from medieval times, riding into battle in a suit of shiny armor and getting into sword duels with villains. But there's actually a lot more to being a valiant knight who can save the day against the bleakest of odds, which your kid may being preparing for as we speak. Perhaps you've noticed your wee-knight training for a life of excitement and honor (possibly with the family dog acting as their squire) in the backyard. They might be using a stick in place of a trusty longsword, but they can still fight against ferocious beasts and protect defenseless townsfolk from certain doom! A knight of such gallantry needs armor worthy of their deeds, and this costume is the perfect attire for the task. The chain mail hood is made of metallic knit mesh, resembling real steel mail, while the foam gauntlets have the look of heavy metal armor, without being heavy or clunky. Add a fierce looking toy sword and shield to go with your knight's chivalrous new garb, and songs will be sung for ages about their daring exploits!